Carola is agronomist, with a degree in agriculture science. She started her professional career in Xilema, in mass rearing of T. pyri. Few months later, she assumed the charge of Laboratory Chief. Her work in the last 4 years allowed her to ascend to Production Chief. 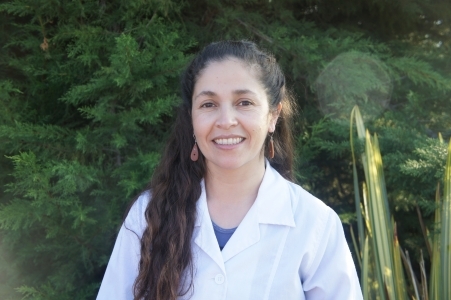 Also, she works in the Universidad del Mar, as profesor of sustainable agriculture. Currently, her work aims to enhance the yields in Xilema's mass rearings , and the construction of a solid relationship between workers team.